Fair visitors can eaily login using various login systems such as Linkedin, Facebook or any third party login. Once logged-in, visitors can access to their user menu to take individualized actions. Fair list screen shows the visitors all the past and upcoming fairs. The fairs can be fully customized by displaying their unique banners and logos. Each fair can be assigned a unique visual theme related to its industry. The selected theme will be applied to all screens related to that fair. Exhibitors are listed in the Exhibitor List screen. It is possible to search for exhibitors given their company name, stand number, country, hall and product category. The search utility is highly comprehensive and useful. 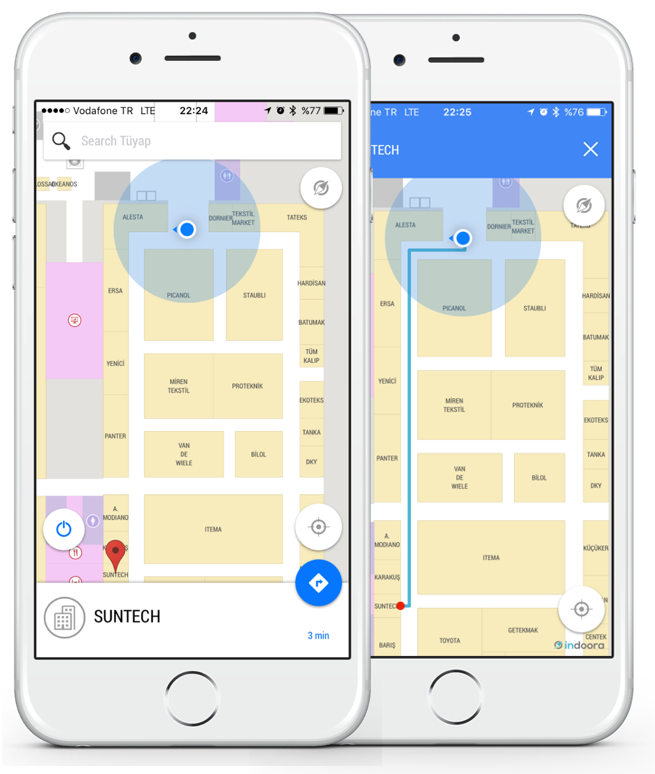 Visitors can easily view exhibitors’ detailed information such as company description, phone number, address, website, product categories, products, the product details and stand location on the fair map. All the events that will take place during the fair is listed in the Event screen. 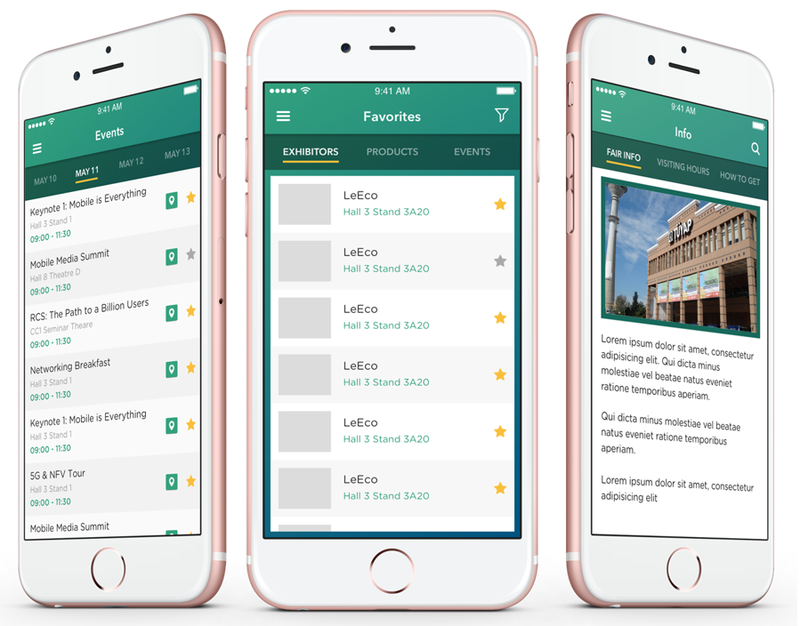 Visitors can find all necessary information about an event such as event name, description, start-end times and location. Visitors can start a navigation to the event place. 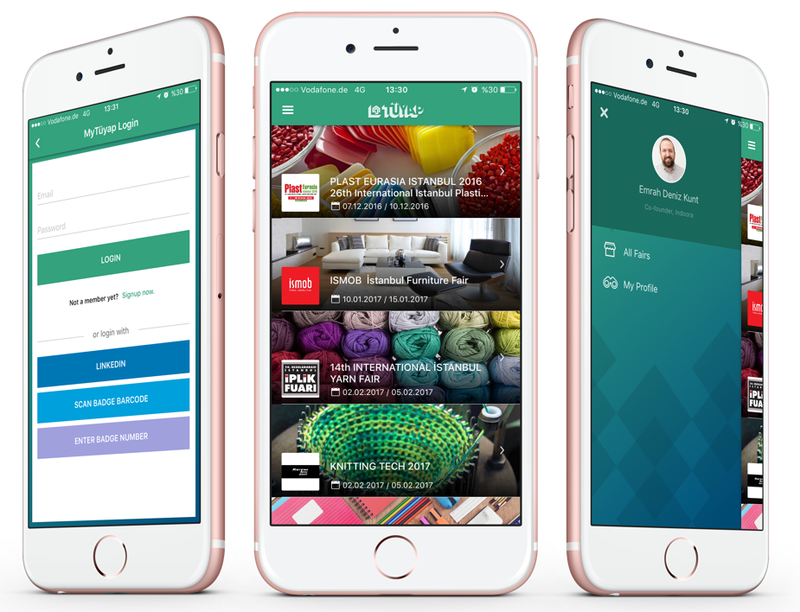 Users can add their desired exhibitors, events, product categories and products to their favorite list. This feature is useful for fast access to related fair materials. Fair Info screen shows all the important details about a fair, such as fair dates, fair location on the map, visiting hours, exhibitor profile and visitor profile. Detailed fair map is the central part of the app where all halls, stands, companies, facilities are shown on the map. 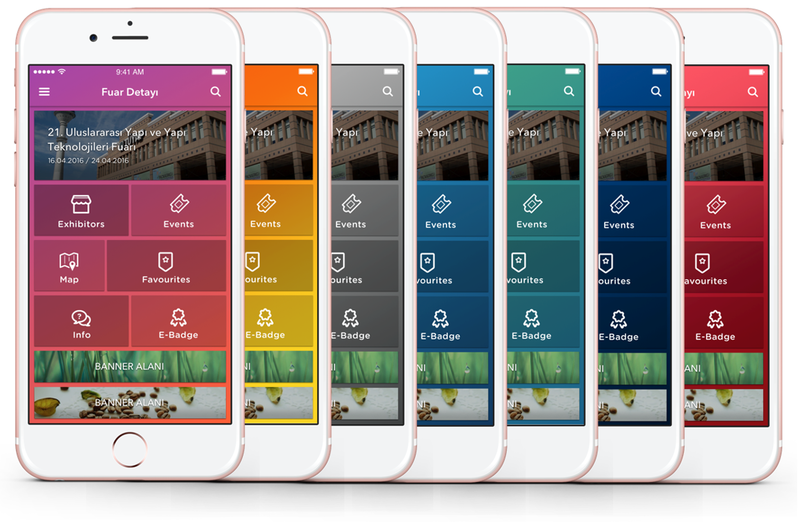 All these entities can be assigned custom colors/icons and the map can be fully customized. 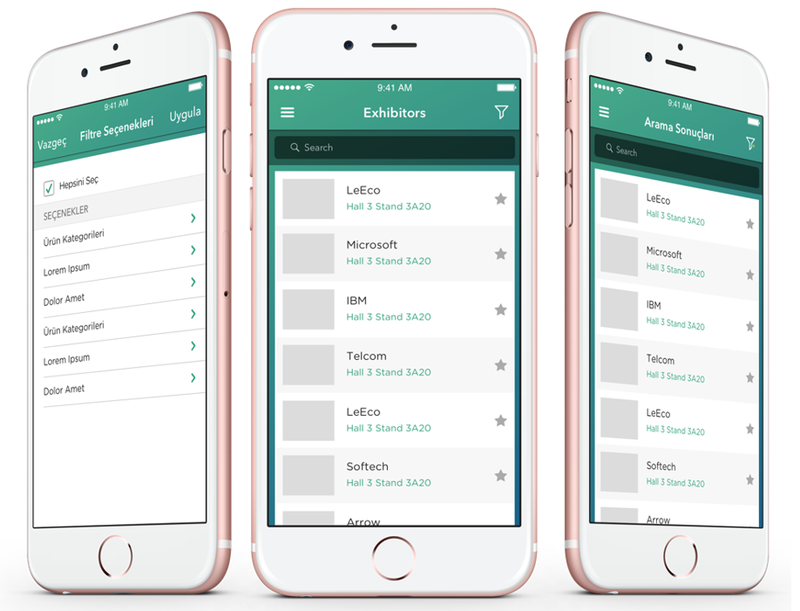 The search utility is very extensive and it can used to find companies, stands, facilities, events and product categories. 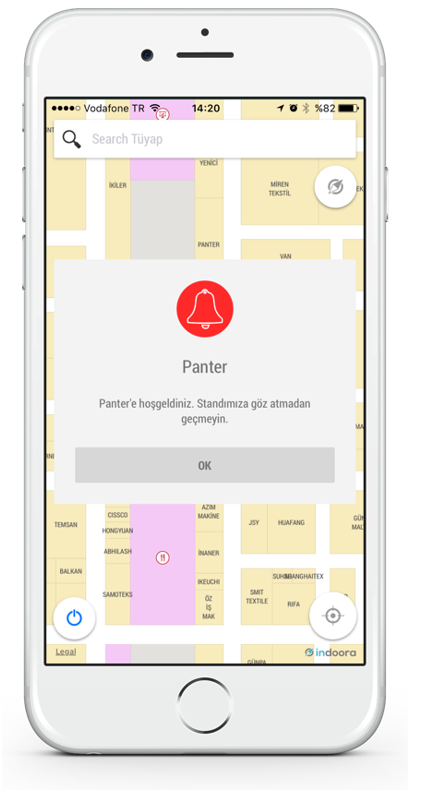 App users can see their location on the map and start a navigation to any hall, stand or facility. The navigation path is dynamic and it is continuously updated as the user walks. The map interface is very similar to Google/Apple maps. This makes it easier for the visitors to use the map interface without getting confused. 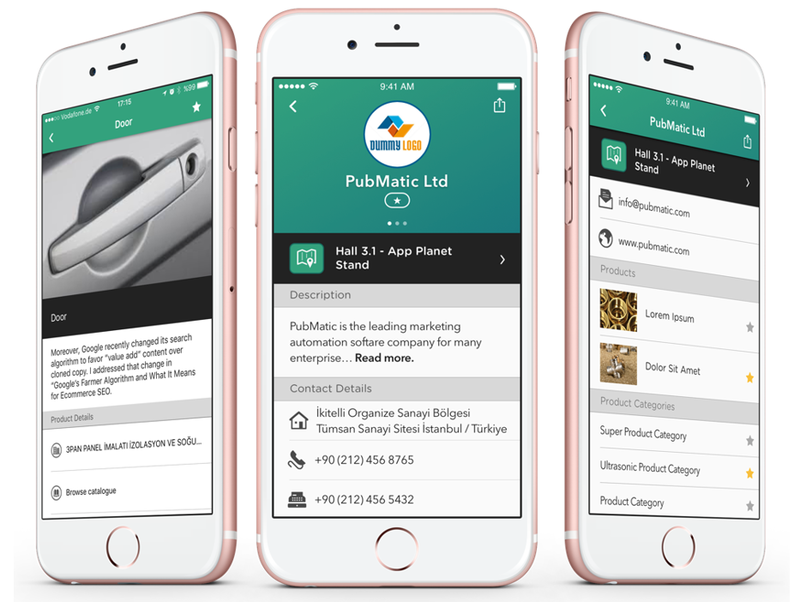 Exhibitors can show location-based informations to visitors to score more visits and brand visibility. If a visitor enters, exits or spends some time in a predefined region, he/she will be presented with a notification about the advertising exhibitor. Once logged in with with Linkedin or Facebook, visitors can see their friends’ location on the map and share their own location with friends. 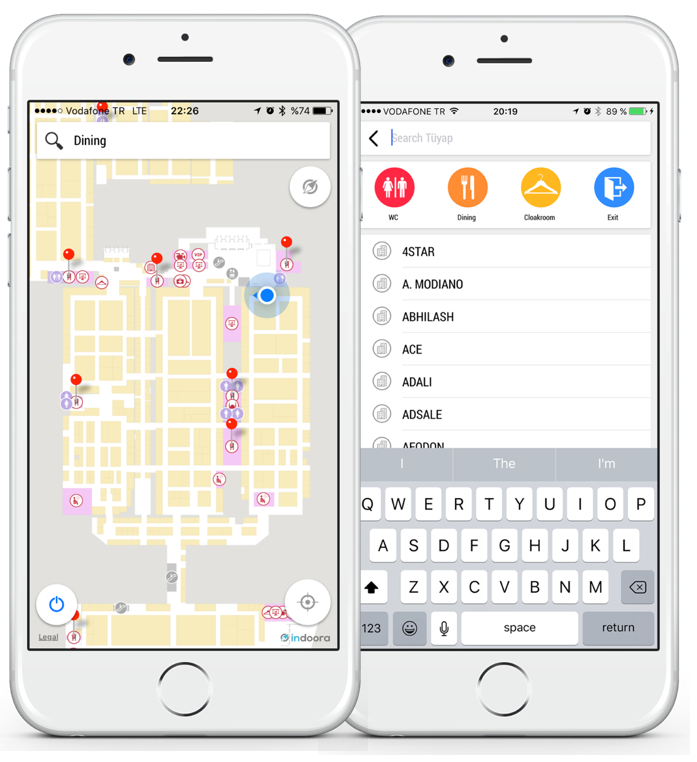 If a visitor is logged in to the app with Linkedin or Facebook, she/he can see their friends location on the map and share his/her location with friends. 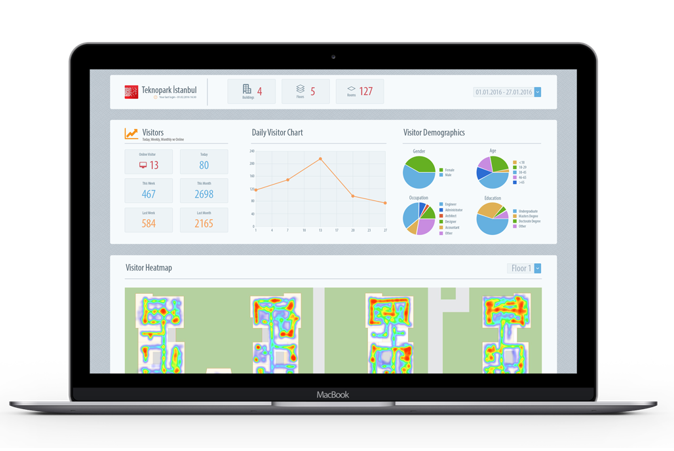 Using Indoora’s analytics tools, you can reach information such as heatmap of the venue, motion profiles of visitors, peak time and days and visit numbers of exhibitors.